Information on all cuisine recipes in Kingdom Hearts 3, including their ingredients and the effects gained after eating them. 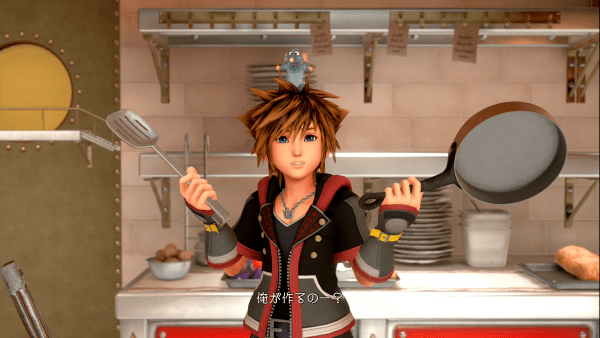 In Kingdom Hearts 3, players will be able to cook various dishes using ingredients gathered in the game. Eating certain meals grants a temporary boost to some of Sora’s stats in battle. For the list of cooking ingredients and where to find them, click here. 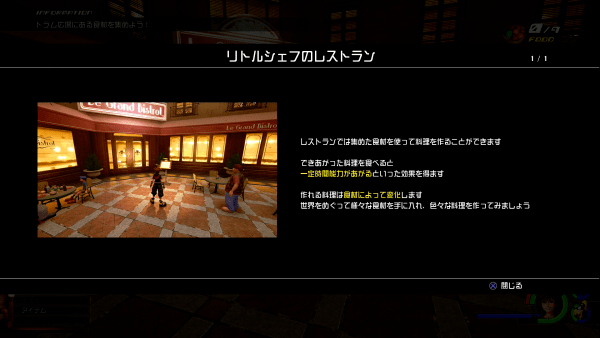 The Cuisine feature is unlocked after the player gathers 9 ingredients upon reaching Twilight Town. Ranking up the restaurant allows you to obtain certain items and equipment. The Grand Chef Keyblade can be obtained by maxing the restaurant’s rank to 5 stars.